Students enjoy eating, especially when the food is something yummy. 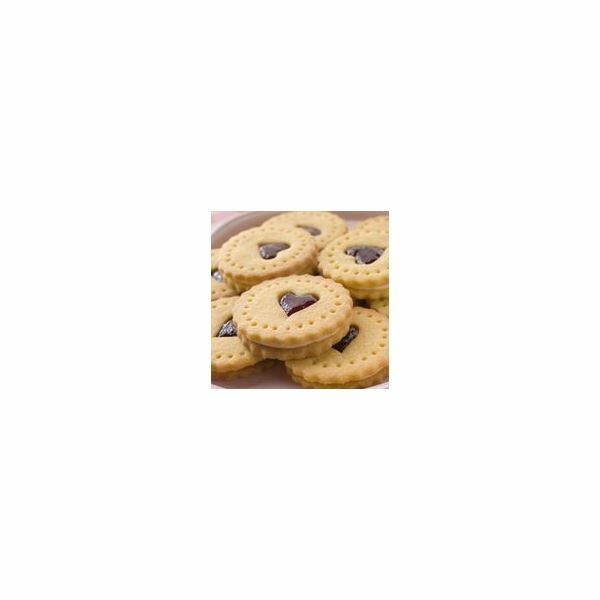 Almost everyone likes chocolate; therefore, it is an excellent topic choice for an English as a second language lesson plan. Combining activities such as research, creative writing and taste testing, creates a lesson that provides students with ample opportunities to practice their language skills, especially when it ends in a Chocolate Festival. This lesson should take two to three weeks to complete. The recommended level of competency is for intermediate to advanced English language learners. Note: Official celebrations occur as Chocolate Day on July 7 and National Chocolate Day on October 28. There is also World Chocolate Day on September 4.
researching the origin and history of chocolate. assimilating knowledge for later discussion. creating poetry using information on chocolate. discovering the various types of chocolate. discussing their like or dislike for chocolate. To begin an ESL adventure into chocolate, have students do a WebQuest on the subject. The historian creates a timeline of important dates and facts. The chef creates a meal incorporating chocolate in every course. The recipes might be from his or her own culture. The botanist develops a flyer explaining the cocoa plant: how to produce chocolate, where to find cocoa plants and how to care for them. 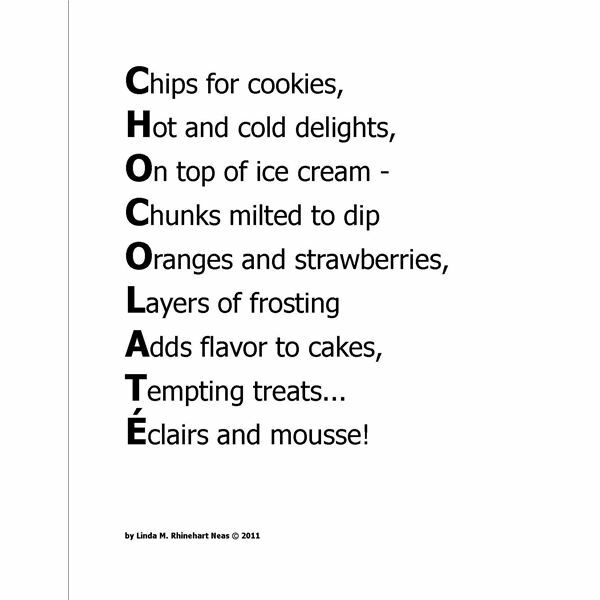 Have students practice their vocabulary by creating an acrostic of chocolate. An acrostic is a form of poetry that uses the individual letters of a word to begin each line. To start, write the word chocolate down the side of the page. For each letter, the students write a word or phrase related to the topic. Help students by providing a vocabulary list from which they can take words for their poem. Everyone likes movies. ESL students enjoy them, too, especially if given information and vocabulary before the viewing. Willy Wonka and the Chocolate Factory is an excellent film to show during lessons on the delicious confection. Explain the plot to the students without giving away the ending. Provide them with a word list of vocabulary heard in the movie. Discuss the list before showing the movie. Run the movie from beginning to end. Do not stop and start. This makes it difficult for the students to keep up with the plot. Make the movie day enjoyable. Provide popcorn or allow students to eat snacks they bring from home. At the end of the movie, ask if the students have questions about the movie. After discussing all the questions, ask students what the themes of this movie are. Explain that themes are the main points of the story. For instance, family relations are a theme, as is competition. Note: If the movie is not available, obtain copies of the book, Charlie and the Chocolate Factory, to read in class as well as at home. Discuss each chapter. Have students keep reading journals to track themes, vocabulary and questions they may have. After students have completed their WebQuests, hold a Chocolate Festival. Invite other classes, parents, family and friends to attend the final day's Chocolate Festival. Students may create invitations to send out to everyone. On the day of the festival, begin with each group of students presenting their research. Provide time for guests to ask questions. After the presentations, have different types of chocolate on hand for people to take a Taste Test. For the Taste Test, provide bite-size piece of dark chocolate, semi-sweet chocolate, milk chocolate and white chocolate. Ask each person that participates to vote on his or her favorite. Have students track the results on the board. Add up totals and announce the top favorite to everyone at the end of the festival. Assess students with a rubric that covers all the language skills — reading, writing, listening and speaking. The rubric gauges student proficiency in pronunciation, grammar, reading comprehension and the ability to answer questions competently. Informally assess student participation in the WebQuest and Chocolate Festival. The main goal of this free ESL lesson plan on chocolate is to engage students in authentic academic activities in order for them to practice their skills in an enjoyable atmosphere, thereby gaining confidence in their language skills.